The event finally ended all the rumors about Apple new device. With millions of people worldwide waiting for something exciting from the giant, it proved that the wait was worth it. There were also rumors and expectations about the new iOS version, updated iTunes Store, a new (mini) tablet, with several new features. Many tantalizing rumors about Apple event leaked on the internet a few hours before the actual event, and surprisingly, most of the rumors turned out to be true. In the flurry of announcements that were made during the event by top executives at Apple, here’s the glimpses of the major announcements about updated hardware and software. The latest iPhone 5 has a superfast A6 processor, lighting fast Internet connectivity, larger display, an 8pin connector and a powerful battery. Its A6 chipset is twice as fast as A5 processor, and it also offers better support to graphics. Innovative LTE connectivity makes it possible for this device to access high-speed wireless Internet. It’s got a bigger display (longer screen) and the body made up entirely of glass and aluminum. Needless to say, all these features would consume more energy. So, iPhone 5 comes with a new battery, which is a lot better than the one in iPhone 4S. 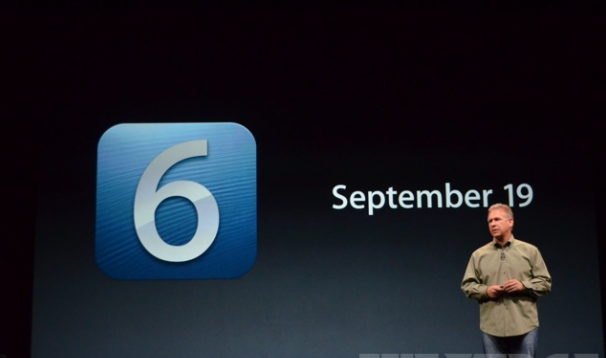 This new operating system will be rolled out to all the compatible Apple devices on 19th September. As expected, iOS 6 comes with the amazing Apple Maps, and it also has the Passbook feature. Other noteworthy features include Improved Siri (including voice controls), Facebook and Twitter integration, Much-improved iCloud integration, and enhanced FaceTime. Eddy Cue, head of Apple music, announced a redesigned iTunes Store for iOS and Desktop. For this time, it comes with Cloud integration, and makes it easier for users to locate and buy products. In addition to allowing users to play music while browsing the store, the new design also has Twitter and Facebook sharing options. iCloud integration ensures that all iTunes purchases can be accessed through all Apple devices that are connected to the Internet. However, this redesigned version of iTunes will arrive only in October. The iPod Nano has been redesigned – it has gotten a larger touch screen (2.5-inch), slimmer body (5.4mm) and it has been given a trademark apple button (just like iphone). But there’s more. The new versions of iPod Nano, which continue to be available in different colors, now support widescreen video playback. It can play up to 720p HD videos for 3.5 hours straight. Last, but definitely nor the least, the new iPod Nano has Bluetooth audio streaming that’ll work with any compatible headphones or speakers. In the shadow of the giant news regarding the launch of iPhone 5 and iOS 6 lay another important product: iPod Touch. The latest version of the device that revolutionized the music industry is the thinnest ever; it comes in a number of new colors, has a front-facing camera, and has Siri and panoramic video recording capability. But the best thing about the latest version of the latest iPod Touch is its 4-inch touch screen retina display. Eddy Cue said that Apple has worked hard for the last three years to come with a different type of headphone that offers the perfect listening experience. These Headpods will be available for the new iPhone 5, iPod Touch and iPod Nano. As if to underline how good music was going to be on these new Headpods, the event ended with some powerful music by Foo Fighters. But what we have right now is just a tip of the iceberg. We will be back with detailed analysis of iPhone 5, iOS 6 and other new Apple products soon. Stay tuned!